Classic Thanksgiving: One of my favorite holidays is Thanksgiving—this year, we stuck to the classics with an elegant twist. 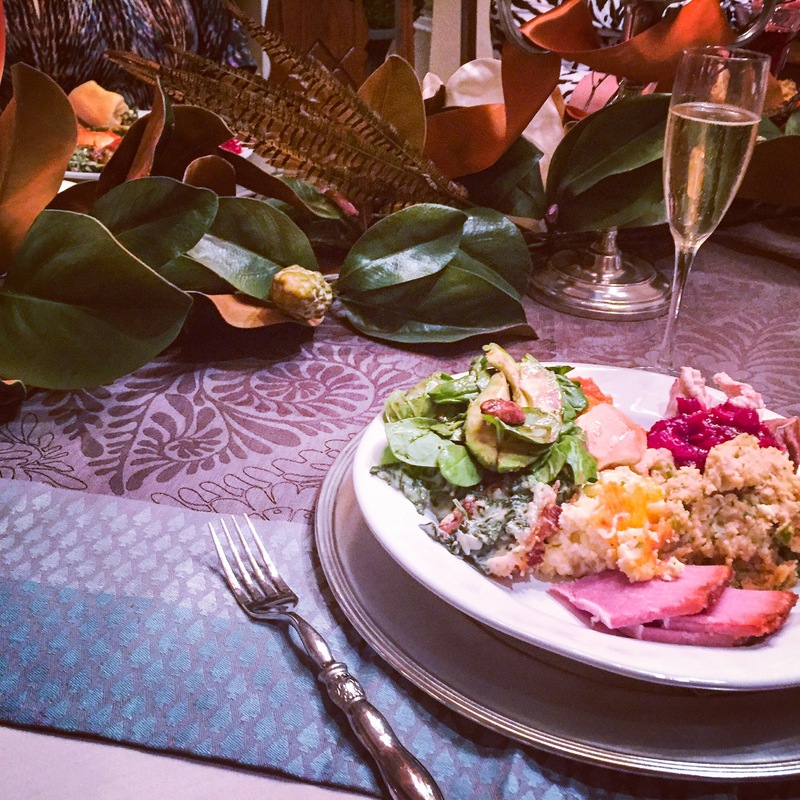 On the menu: Rosemary Turkey; Honey Ham; Creamed Spinach with Gruyere; Cranberry Compote with Ginger, Orange and Bourbon; Sweet Potato Casserole; Herbed Corn Pudding and of course, a green salad. I washed it all down with a crisp flute of bubbles!